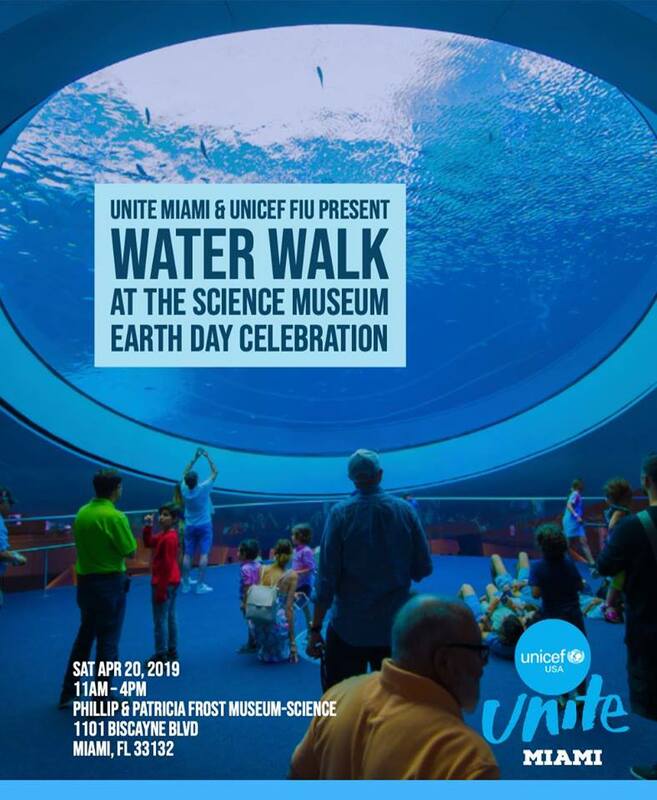 Join UNICEF Unite Miami for our first UNICEF Water Walk, in collaboration with UNICEF FIU at the Frost Museum of Science to raise awareness for the challenges children face when retrieving clean drinking water on a daily basis! The UNICEF Water Walk is a great activity for all ages that creates an environment of learning around global water-related issues. We have chosen to join in on the Earth Day Celebration to bring awareness to what millions of children do each day walking miles to gather water for their families.